OTTAWA — Liberals are urging former attorney general Jody Wilson-Raybould to use her parliamentary privilege to tell the House of Commons whatever she wants about the SNC-Lavalin affair. But they want her and her former cabinet ally Jane Philpott to tell their stories in full all at once, rather than dragging out the controversy with partial statements and hints of more to come, which have overshadowed all other aspects of the government’s agenda. 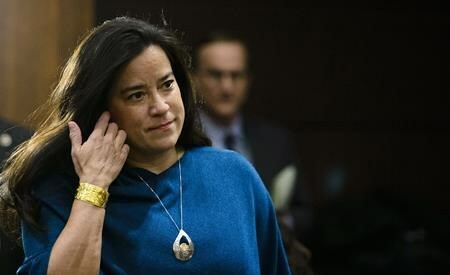 McKenna made the comment shortly after Wilson-Raybould informed the House of Commons justice committee that she intends to make a written submission revealing more about her accusation that she faced improper pressure last fall to avert a criminal prosecution of Montreal engineering giant SNC-Lavalin. Her written statement will be “within the confines of the waiver of cabinet confidence and solicitor-client privilege” she was granted before testifying orally, she said. That waiver covers up until Jan. 14, when she was shuffled out of her dual role as justice minister and attorney general. 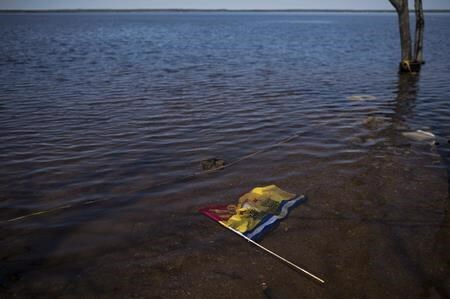 When she testified in person, Wilson-Raybould said she’d suffered a months-long campaign, pushed by Prime Minister Justin Trudeau’s office, to get her to order a “deferred prosecution agreement” be offered to SNC-Lavalin over its allegedly corrupt dealings in Libya. She was followed by former prime ministerial aide Gerald Butts, who said there were miscommunications but no improper pressure, and then-Privy Council clerk Michael Wernick, who denied Wilson-Raybould’s allegation that he’d issued veiled threats about her place in cabinet on the prime minister’s behalf. Wilson-Raybould’s letter came the day after former cabinet ally Jane Philpott fanned the SNC-Lavalin fire in an interview with Maclean’s magazine, saying there is “much more to the story” — a report that landed in the midst of a 31-hour, Conservative-orchestrated filibuster over the controversy. The filibuster, which continued until almost 1 a.m. Friday, was intended to protest Trudeau’s refusal to offer a blanket waiver of privilege and confidentiality that Wilson-Raybould has claimed is necessary if she is to fully tell her side of the story — including things that occurred after her move to Veterans Affairs until her resignation from cabinet a month later. Philpott resigned from cabinet early this month, saying she’d lost confidence in the government’s handling of the SNC-Lavalin case. Both former ministers remain in the Liberal caucus and intend to seek re-election this fall as Liberals but their continued stirring of the pot is testing the patience of their colleagues. Liberal MPs publicly professed Friday to be comfortable with the pair remaining in caucus, in keeping with Trudeau’s argument that diversity of opinion within Liberal ranks is a good thing . The Liberal-dominated justice committee shut down its investigation into the affair on Tuesday, with Liberal members concluding no rules or laws were broken. That denied Wilson-Raybould a potential opportunity to testify again and respond in person to Butts’s and Wernick’s accounts. 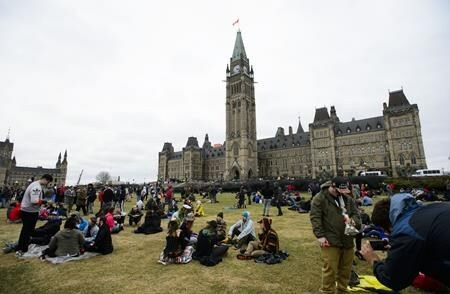 A different set of Liberal MPs will likely reject a bid by the Conservatives to launch a separate investigation through the Commons ethics committee next week. Still, Toronto Liberal MP Adam Vaughan said nothing is stopping the ex-ministers from saying whatever they want in the Commons, where they are protected by parliamentary privilege from lawsuits. But Conservative House leader Candice Bergen said suggestions that parliamentary privilege frees the former ministers to say what they like is “a smokescreen.” She argued that opportunities to speak at length in the Commons are limited and continued to push for a blanket waiver to let the pair testify in a committee hearing. Wilson-Raybould “has things she needs to tell Canadians and we need to get to the bottom of this,” Bergen said. At an event in Thunder Bay, Ont., on Friday afternoon, Trudeau once again shrugged off the Opposition’s demand for a broader waiver, arguing that the original waiver was “unprecedented” and allowed Wilson-Raybould to talk “entirely and completely” about the question he puts at the core of the controversy: whether she was pressured unduly on the SNC-Lavalin case during her time as attorney general. “She testified for four hours … There has been a full airing at the justice committee,” Trudeau said, noting that the federal ethics commissioner is also conducting his own investigation.